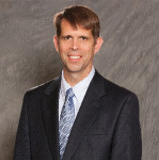 Peter Dill is the Programs Chair for the North Extension of ISM Houston, located in The Woodlands, Texas. In this role he manages all aspects of the Northside meetings, which includes the recruitment and selection of quality pre-dinner educational session presenters; hosting & emceeing each monthly Professional Dinner Meeting (PDM); and marketing each PDM within the supply chain community in order to draw in attendees and grow the Northside footprint for ISM Houston. Additionally, Peter collaborates with the Membership Chair to attract and retain new corporate members (most recently, ExxonMobil). He also negotiates, develops, and executes plans the with The Woodlands Country Club for meals and related meeting services, livestream services, and associated Northside budgeting. During his tenure, both attendees from various industries and ISM Houston board members have confirmed Northside program is solid success. Peter has held roles of increasing responsibility in Global Supply Chain and Logistics with General Motors, CEVA Global Logistics, FMC Technologies, Chicago Bridge and Iron (CB&I) and most recently Saulsbury. He earned his Bachelor of Science in Engineering Technology from Texas A & M, and Master of Business Administration (MBA), specializing in International Management from Thunderbird. He has been selected to interview candidates for the United States Naval Academy as a Blue and Gold Officer. He is an Eagle Scout and serves as a committee member with focus on coaching scouts to final rank of Eagle Scout for Troop 772 in The Woodlands, Texas. He is an active member of The Woodlands United Methodist Church. Matthew A. Bradshaw, CPSM, CPSD, C.P.M. Currently the Professional Development Chair for ISM-Houston, Inc. Matt has served in this role since 2016. He assists and mentors students, emerging professional, and professionals discover, develop and pursue their career goals to achieve success in their careers. Matt coordinates pre-dinner speakers. He facilitates pre-dinner meetings, workshops, and CPSM/CPSD Certification workshop review training. He has led Seminars and Conferences Wichita, KS, Albany, NY, New Jersey and Houston, TX. 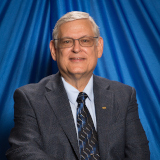 He has been the Professional Development Chair in these cities and has served as a committee member and on several NAPM and ISM cities as a board member. While he was in New York he served as the Vice President of NAPM-Eastern New York. In 2002 – 2003 he received the ISM Volunteer of the Year for a Medium Affiliate for NAPM – Eastern New York, Inc. Institute for Supply Management New York/New Jersey Forum. Has been a Senior Buyer for Cameron Drilling Systems -Oil & Gas Industry, BAE Systems Global Tactical Systems - Military Vehicles, and Teledyne Continental Motors - Aircraft Engines, Clark Material Handling Worldwide Distribution of Parts, Garden Way, Inc, - Troy Bilt Rotor Tillers and other Lawn and Garden Equipment, Superior Supply Company​​ – Wholesale Distribution of HVAC Parts and Equipment. He also worked at Cessna Aircraft Company. Matt graduated from the University of South Alabama in May of 2002, with a Bachelor of Science Degree from the College: School of Continuing Education & Special Programs. His Major was Adult Interdisciplinary Studies and Minored in Administrative Sciences and Communication. He received Honorable Mention for his Senior Project: Understanding Types and Temperaments to Enhance the Negotiation Process. He became a Certified Purchasing Manager in 1991 and received his Lifetime Certification in 1997. Matt recently achieved his CPSM in January, 2019 and his CPSD in March, 2019. Matt also served in the United States Marine Corps from 1967-1971 and is a Vietnam Veteran.